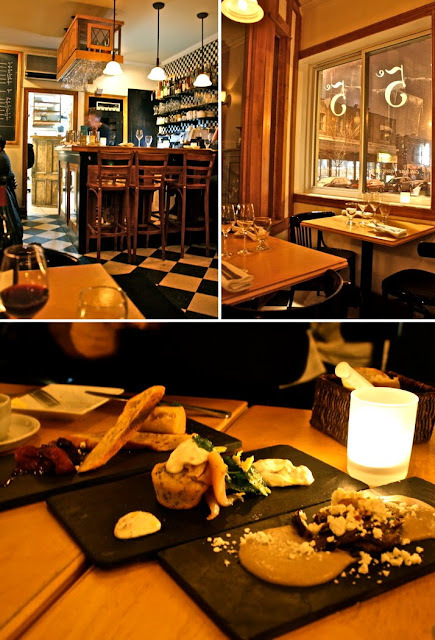 I finally got to experience dinner at Au Cinquieme Péché this weekend, and it was a wonderful experience indeed! The atmosphere is so quaint in there, it feels like this hidden jem... like a family-run French bistro on some forgotten side street in Paris. The menu choices were somewhat limited, so I wouldn't recommend this place for vegetarians, but on the whole it was a spectacular dinner, and I would definitely go back. my wife and i were there the same night as you. what a great restaurant. and they keep getting better. we go regularly. small world! I'm definitely going back soon.